KARACHI (92 News) – People from all walks of life, including lawyers, staged demonstrations and resorted to sabotage in protest against long power shutdown across the city on Monday. 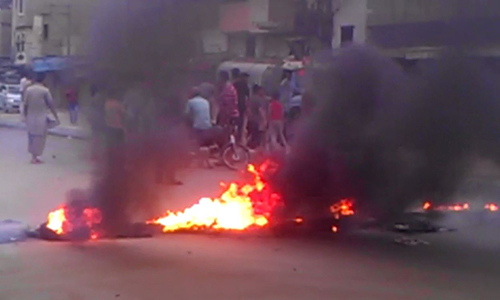 The protesters blocked roads by burning tyres and chanted slogans against K-Electric officials. The power shutdown continued to play hide and seek in the city due to the breakdown for fourth time in a week. People faced numerous problems, including severe shortage of water, due to the long shutdown. Water was unavailable even in mosques for performing ablution. Meanwhile, Sindh Chief Minister Syed Qaim Ali Shah has taken notice of the power and water crisis. He directed the K-Electric to resolve the issue at the earliest. The chief minister warned K-Electric officials to improve the management otherwise arrests would be made. On the other hand, Sharjeel Memon has warned the K-Electric management of stern action if the situation did not improve.